Resolving was simply a matter of installing the display drivers and running WinSat again. 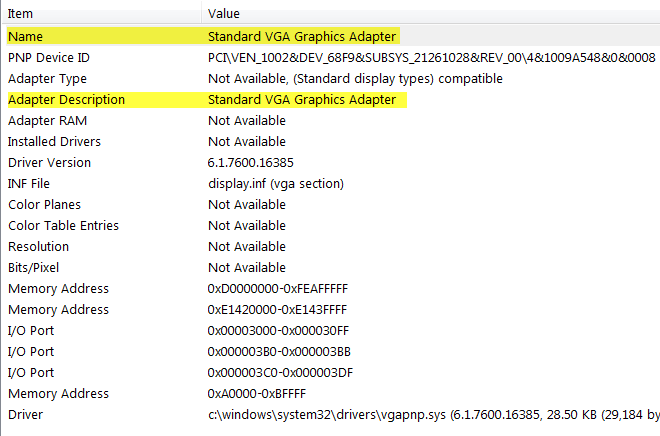 As for why the video drivers did not install during the image deployment, a change was made the night before the workstation was imaged to the task sequence that caused it (unintentionally) not to install the display drivers. 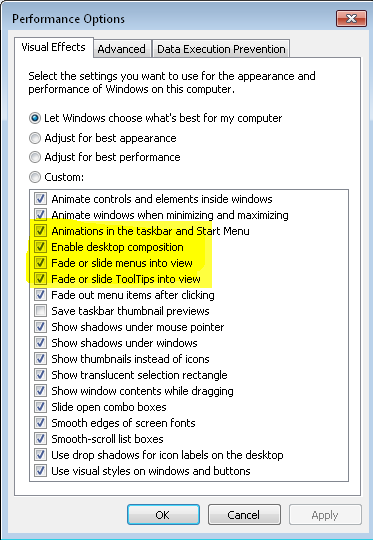 This entry was posted on July 13, 2012 at 10:50 pm	and is filed under Troubleshooting. You can follow any responses to this entry through the RSS 2.0 feed. You can leave a response, or trackback from your own site. 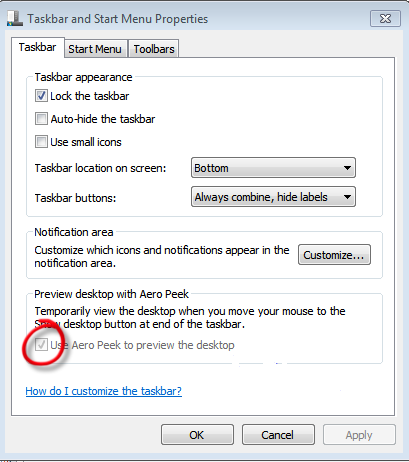 When Windows 7 Basic theme under Personalization is selected, Use Aero Peek to preview the desktop feature will be grayed out in the TaskBar properties too and Enable Aero Peek under Performance disappears too. 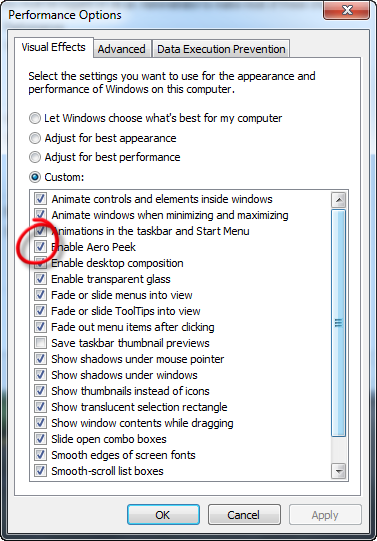 But by selecting one of the aero themes back, these two options will come back.